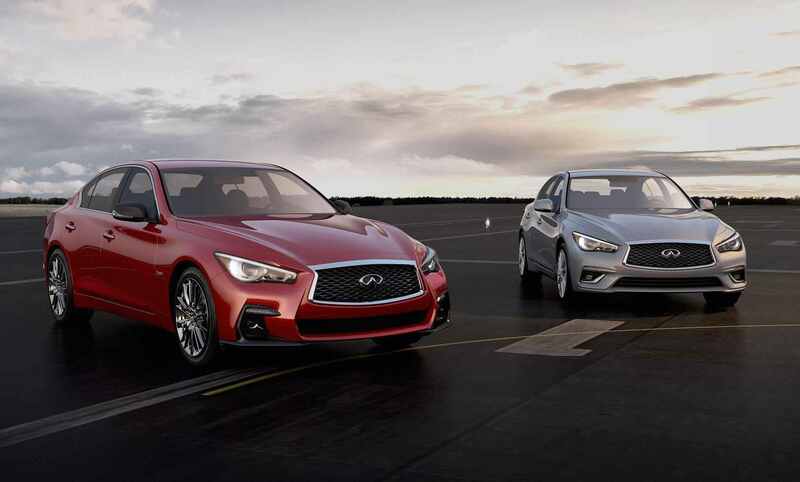 Compared to Infiniti`s products around ten years ago, the present generation models are coming with improved design language, state-of-the-art features inside and increase performance under the hood. This is quite a significant improvement, which brings the Nissan`s luxury arm closer to the top manufacturers. One particular model that I began to like is the all-new 2018 Infiniti Q80 which has been presented at the 2017 Geneva Motor Show. The styling is visibly improved, the carmaker also working around the cabin`s materials and gadgetries. From a visual standpoint, we could now distinguish between the model`s variants, thanks to the minor tweaks. The top of the line Red Sport 400 for instance, now stands out from the crowd with black front spoiler and new fog light clusters with LEDs, the model also receiving the new front bumper bar and LED headlights and taillights. In the cabin, all variants are tweaked with rather the same features, like “authentic materials” and new “spinal support” seats. Otherwise, the model borrows the onboard technology from the rest of the manufacturer`s new models. There is also the new ProPILOT Assist package available on higher trims, coming with Direct Adaptive fully-electric steering, autonomous driving capability, adaptive cruise control and so on. In the engine department, full details are still to be revealed, however, we do know that the same 2018 Infiniti Q50 Red Sport 400 version comes with a 3.0-liter twin-turbo V6 engine, with a good 298 kW and 475 Nm of torque, being sent to the rear axle via a seven-sport automatic transmission. The model will arrive in dealerships this spring.